11. Arthur Ransome, The imp and the elf and the ogre (1910). 10. T. Ifor Rees, In and around the Valley of Mexico (1953). 9. Peter Pye, A sail in the forest (1961). 8. New Scientist, Does anything eat wasps? (2005). 7. Terry Pratchett, A slip of the keyboard (2014). 6. Douglas Dixon, A sail to Lapland (1938). 5. David R. MacGregor, The tea clippers (1952). 4. Gail Pirkis (ed. ), Slightly foxed 25 (2010). 3. E. F. Knight, The Falcon on the Baltic (1888). 2. Terry Pratchett, I shall wear midnight (2010). 1. Terry Pratchett, Unseen Academicals (2009). 22. Terry Pratchett, Making money (2007). 21. Janet Adam Smith, Children's illustrated books (1948). 20. Gwilym Evans, Pioneers of Gogerddan (1987). 19. M. F. Thwaite, From primer to pleasure (1963). 18. Arthur Ransome (ed. ), Stories by Flaubert (1910). 17. Arthur Ransome (ed. ), Stories by Chateaubriand (1909). 16. Marcus Crouch, Treasure seekers and borrowers (1970 ed.). 15. Angela Saini, Inferior (2017). 14. The Library Association, Chosen for children (1967 ed.). 13. Empson Edward Middleton, The cruise of "The Kate" (1870). --. H. M. Tomlinson, Tidemarks (1924) [dnf; read pp. 1-115 only]. 12. Sidney Howard, Thames to Tahiti (1933). 11. Rex Clements, Manavilins (1928). 10. Herbert Millingchamp Vaughan, Catalogue of the Aneurin Williams collection of book plates (1938). 9. David Reich, Who we are and how we got here (2018). 8. Friends of the Newport Ship, The Newport medieval ship (2017). 7. Gwynfryn, Friends in fur and feathers (1869). 6. Basil Lubbock, The Blackwall frigates (1924). 5. Cymdeithas Hanes Ceredigion, Ceredigion, 2017 (2018). 4. Ed Yong, I contain multitudes (2016). 3. The National Library of Wales journal, vol. xxiv, no. 4, Winter 1986. 2. Mary Beard, Women & power (2017). 1. The journal of the Welsh Bibliographical Society, vol. III, no. 4 (1927). 28. Basil Lubbock, The China clippers (1914). 27. C. Fox Smith, Ocean racers (1931). 26. A. G. Hughes (ed. ), Adventurers all (1947). 25. W. M. Whiteman, The origins of Steep (1978). 24. C. Fox Smith, Anchor Lane (1933). 23. Arthur Ransome, The twilight years, volume I - Hill Top (2017). 22. C. Fox Smith, Sailor's delight (1931). 21. Basil Lubbock, Round the Horn before the mast (1902). 20. C. Fox Smith, Small craft (1916). 19. Ben Goldacre, I think you'll find it's a bit more complicated than that (2014). 18. Arthur Ransome, Coots in the north (1988). 17. E. Keble Chatterton, Chats on naval prints (1926). 16. Julian Lovelock, Swallows, Amazons and Coots (2016). 14. Terry Pratchett, The last hero (2001). 13. Terry Pratchett, Wintersmith (2006). 12. Terry Pratchett, Thud! (2005). 11. Terry Pratchett, Going postal (2004). 10. Joyce Lupton, The seekers (1971). 9. Joyce Lupton, The hill of the ring (1960). 8. Walter Runciman, Collier brigs and their sailors (1926). 7. Cadbury & Dobbs, Canals and inland waterways (1929). 6. Terry Pratchett, The compleat Discworld atlas (2015). 5. Terry Pratchett, A hat full of sky (2004). 4. Terry Pratchett, Monstrous regiment (2003). 3. Terry Pratchett, The Wee Free Men (2003). 2. Katharine Hull & Pamela Whitlock, Escape to Persia (1938). 1. Keith Beken, The Beken file (1979, tr. 1980). 28. Terry Pratchett, Night Watch (2002). 27. Glyn Roberts, Sailing in a sieve (1963). 26. Gwyneth Lewis, Two in a boat (2005). 25. Aston H. Long, 'Round the Bill' (1932). 24. Gilbert Murray, F. W. Hirst by his friends (1958). 23. C. Fox Smith, The return of the "Cutty Sark" (1924). 22. Eric Newby, The last grain race (1956). 21. G. H. P. Muhlhauser, Small craft (1920). 20. Joshua Slocum, Sailing alone around the world, and Voyage of the Liberdade (1948). 19. Randolph Caldecott, R. Caldecott's Picture Book No 2 (1881). 18. Arthur Ransome, Swallows and Amazons (1930). 17. Remy de Gourmont, A night in the Luxembourg (1906, tr. 1912). 16. Lionel Gough (ed. ), Hunting scenes from Surtees (1953). 15. Elizabeth Varley, The last prince bishop (2013). 14. W. E. Colchester, Hampshire church bells : their founders and inscriptions (1920). 13. Alan Bennett, The history boys : the film (2006). 12. Andrew Lang, The library (1881). 11. F. J. Harvey Darton (ed. ), Essays of the year (1929-1930). 10. K. Adlard Coles, Sailing years (1981). 9. Arthur Ransome, Russian fairy tales (1946). 8. The world cruise of U.S.S. Benham (DD 796) (1954). 7. Taqui Altounyan, Through the year in the Middle East (1982). 6. Anthony Rushworth-Lund, By way of the golden isles (1963). 5. Conor O Brien, From three yachts (1950). 4. Robin Maugham, Nomad (1947). 3. J. K. Rowling, Harry Potter and the philosopher's stone (1997). 2. Margaret Ratcliffe, Sur les traces d'Arthur (2003). 1. Charles Darwin, Autobiography of Charles Darwin (1887). --. Henry Williamson, Tarka the otter (1927) [dnf]. 45. Richard Garnett, The white dragon (1963). 44. Katherine Paterson, Bridge to Terabithia (1977). 43. Charles Kingsley, Prose idylls, new and old (1873). 42. James Robb, Notable angling literature (1945). 41. Lord Dufferin, Letters from high latitudes (1856). 40. Terry Pratchett, The amazing Maurice and his educated rodents (2001). 39. Terry Pratchett, Night Watch (2002). 38. Terry Pratchett, The thief of time (2001). 37. L. Luard, Where the tides meet (1948). 36. Michael Morpurgo, Caeau Fflandrys (2003; tr. 2009). 35. Arthur Ransome, Stories by the essayists (1909). 34. Terry Pratchett, The truth (2000). 33. Terry Pratchett, The fifth elephant (1999). 32. Terry Pratchett, Carpe jugulum (1998). 31. William Benham, Winchester cathedral (1897). 30. Anonymous, Laxdæla saga (c.1245, tr. 1969). 29. Terry Pratchett, The last continent (1998). 28. Yoshio Markino, A Japanese artist in London (1910). 27. Herman Melville, Typee (1950). 26. William Spavens, Memoirs of a seafaring life (1796). 25. Terry Pratchett, Jingo (1997). 24. Terry Pratchett, Hogfather (1996). 23. R. H. Bruce Lockhart, Memoirs of a British agent (1932). 22. Rudyard Kipling, Jungle book (1894). 21. Terry Pratchett, Feet of clay (1996). 20. Terry Pratchett, Maskerade (1995). 19. Arthur Ransome, Coots in the north (1983). 18. Terry Pratchett, Interesting times (1994). 17. Terry Pratchett, Soul music (1994). 16. Francis Kilvert, The diary of Francis Kilvert, June-July 1870 (1989). 15. Emily Huws, 'Rhen ceiliog dandi do. 14. William Willis, The epic voyage of the Seven Little Sisters (1956). 13. Alain Bombard, The Bombard story (1953, tr. 1956). 12. Isaac Asimov, The naked sun (1957). 11. Terry Pratchett, Theatre of cruelty (short story, 1993). 10. Terry Pratchett, Men at arms (1993). 9. Terry Pratchett, Lords and ladies (1992). 8. Weston Martyr, The Southseaman (1926). 7. Michelle Bates, Miri Madog (1996, tr. 1997). 6. Terry Pratchett, Witches abroad (1991). 5. Terry Pratchett, Small gods (1992). 4. Gibson Cowan, The voyage of the Evelyn Hope (1946). 3. Bill & Phyllis Crowe, Heaven, hell and salt water (1955). 2. Terry Pratchett, Reaper man (1991). 1. Terry Pratchett, Eric (1990). 52. Arthur Ransome, Great Northern? (1947). 51. Jacques-Yves Le Toumelin, Kurun in the Caribbean (1957, tr. 1959). 50. Terry Pratchett, Moving pictures (1990). 49. Terry Pratchett, Guards! Guards! (1989). 48. Charles Dickens, Oliver Twist (1838). 47. Terry Pratchett, Pyramids (1989). 46. Terry Pratchett, Wyrd sisters (1988). 45. Terry Pratchett, Sourcery (1988). 44. Arthur Ransome (ed. ), Stories by Théophile Gautier (1908). 43. Terry Pratchett, Mort (1987). 42. Terry Pratchett, Equal rites (1987). 41. W. C. Sellar & R. J. Yeatman, 1066 and all that (1930). 40. Terry Pratchett, The light fantastic (1986). 39. Terry Pratchett, The colour of magic (1983). 38. Washington Irving, Rip van Winkle and other stories (1905). --. Henry James, Fourteen stories by Henry James (1946) [dnf; read stories 1-5, 10 and 12 only]. 37. Miles Smeeton, Once is enough (1959). 36. Maurice Headlam, A holiday fisherman (1934). 35. Douglas Adams, The hitch hiker's guide to the galaxy : a trilogy in four parts (1986). 34. Stephen Johnson, Fishing from afar (1947). 33. Thomas Whiteside, The tunnel under the Channel (1961). 32. Isaac Asimov, The early Asimov, vol. 1 (1972). 31. Chiang Yee, Chinpao at the zoo (1941). 30. Rodney Dingle, Roger : the life [...] of Dr Roger Altounyan (2003). 29. Erling Tambs, The cruise of the Teddy (1930; 1933). 28. Douglas Adams, The long dark tea-time of the soul (1988). 27. Douglas Adams, Dirk Gently's holistic detective agency (1987). 26. Rupert Brooke, Democracy and the arts (1947). 25. Richard Garnett, Rupert Hart-Davis Limited (2004). 24. Arthur Ransome, The Picts and the martyrs (1942). 23. Arthur Ransome, The hoofmarks of the faun (1911). 22. Gavin Maxwell, Harpoon at a venture (1952). 21. Ralph Thompson, A brush with animals (1963). 20. Anthony Buxton, Fisherman naturalist (1946). 19. Conor O Brien, Across three oceans (1927). 18. Arthur Ransome, The war of the birds & the beasts and other Russian tales (1984). 17. Evelyn Waugh, Vile bodies (1930). 16. Elizabeth Linklater, A child under sail (1938). 15. Michael Morpurgo, Ceffyl rhyfel (1982, tr. 2010). 14. J. H. Williams, Elephant Bill (1950). 13. Vincent Cronin, The last migration (1957). 12. E. C. Tubbs, Ten from tomorrow (1966). 11. Lauri Aadolf Puntila, The political history of Finland 1809-1966 (1975). 10. Arthur Ransome, The elixir of life (1915). 9. Harper Lee, To kill a mockingbird (1960). 8. Erich Kästner, Emil and the three twins (1934, tr. 1935). 7. MacLiesh & Krieger, Fabulous voyage (1963). 6. Patrick O'Brian, Master and commander (1969). 5. Uffa Fox, Sailing boats (1959). 4. Arthur Ransome, Missee Lee (1941). 3. Anthony Buckeridge, Jennings follows a clue (1951). 2. Captain Marryat, Mr. Midshipman Easy (1836). 1. Bram Stoker, Dracula (1897). 26. Terry Pratchett, Snuff (2011). 25. Terry Pratchett, Reaper man (1991). 24. Tacitus, The Agricola, and The Germania. 23. Arthur Conan Doyle, The lost world (1912). 22. Terry Pratchett, Witches abroad (1991). 21. Terry Pratchett, Sourcery (1988). 20. Siân Lewis, Cyfrinach Plas Hirfryn (2011). 19. Arthur Ransome, The big six (1940). 18. E. F. Knight, The Falcon on the Baltic (1888). 17. Richmal Crompton, Just William (1922). 16. H. E. Morritt, Fishing ways and wiles (1929). 15. Hilaire Belloc, On sailing the sea (1939). 14. Joseph Conrad, Heart of darkness (1899). 13. Mared Llwyd, Aderyn brau (2009). 12. Taqui Altounyan, In Aleppo once (1969). 11. Arthur Ransome, Swallows and Amazons (1930). 10. Joseph Conrad, Sea stories (1957). 9. Hugh Lofting, The story of Dr Dolittle (1920). 8. Arthur Conan Doyle, The hound of the Baskervilles (1902). 7. Edith Nesbit, The railway children (1906). 6. Arthur Ransome, Secret water (1939). 5. David Bellos, Is that a fish in your ear? (2011). 4. Lewis Carroll, Alice's adventures in Wonderland (1865). 3. Roald Dahl, Yr CMM (1982, tr. 2012). 2. Rudyard Kipling, The jungle book (1894). 1. Robert Louis Stevenson, Treasure island (1883). 15. Robert Louis Stevenson, Travels with a donkey in the Cevennes (1879). Taqui Altounyan, Chimes from a wooden bell (1990). Stanley Barnes, Anglers' knots in gut and nylon (1948). John Berry, Discovering Swallows & Ransomes (2004). Joan Bodger, How the heather looks (1965). Marion Carr, Call of the running tide. Fred Hoyle, The black cloud. Katharine Hull, The far-distant Oxus. Peter Kemp Kemp, H.M. submarines. Paul Lund, Out sweeps! : the story of the minesweepers in World War II (1978). E. N. Poland, The torpedomen : HMS Vernon's story 1872-1968. Arthur Ransome, Coots in the north. Arthur Ransome, The autobiography of Arthur Ransome. Arthur Ransome, The soldier and Death. Erskine Childers, The riddle of the sands. Victor Ehrenberg, From Solon to Socrates. Philip Hoare, Spike Island : the memory of a military hospital. Richard Holmes, Redcoat : the British soldier in the age of horse and musket. E. F. Knight, The cruise of the Alerte. Dwight Long, Sailing all seas in the Idle Hour. Josephine Marchant, Decoding the heavens. Reviel Netz, The Archimedes codex. Arthur Ransome, Racundra's third cruise. William Albert Robinson, Deep water and shoal. Robert M. Thompson, Ransome's Foreign Legion. Joyce Tyldesley, Cleopatra : last queen of Egypt. Toby A. H. Wilkinson, The rise and fall of ancient Egypt. Richard Holmes, The age of wonder (2008). Peter Hunt, Approaching Arthur Ransome. Steve Jones, Almost like a whale : the Origin of Species updated. Paul Kriwaczek, Babylon : Mesopotamia and the birth of civilization. 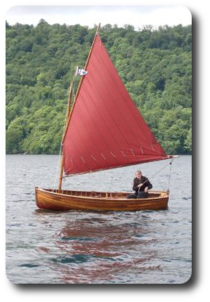 Arthur Ransome, Racundra's first cruise. Dorothea Rutherford, The threshold : a memoir of childhood (1955). Rita P. Wright, The ancient Indus (2010) [dnf]. Antony Beevor, Berlin : the downfall 1945. Richard Dawkins, The greatest show on earth. Vasily Grossman, A writer at war : Vasily Grossman with the Red Army 1941-1945. James E. Hansen, Storms of my grandchildren [dnf]. Cecilia Lindqvist, China : empire of the written symbol. David J. C. MacKay, Sustainable energy - without the hot air. John Man, The Great Wall. Arthur Ransome, Rod and line. Arthur Ransome, Swallows and Amazons. Jared Diamond, Guns, germs and steel (1997). Jared Diamond, The rise and fall of the third chimpanzee (1992). Richard Fortey, The earth : an intimate history (1997). John Man, The terracotta army : China's first emperor and the birth of a nation (2007). Douglas Palmer, Seven million years : the story of human evolution (2005). Peter Parsons, City of the sharp-nosed fish : Greek lives in Roman Egypt (2007). Fred Pearce, Confessions of an eco-sinner : travels to find where my stuff comes from (2008). Nicholas Ostler, Empires of the word : a language history of the world (2005). Hilary Aidan St George Saunders, Valiant voyaging (1948). Bee Wilson, The hive : the story of the honeybee and us (2004). Christopher Hibbert, The recollections of Rifleman Harris (1848). Mark Kurlansky, Cod : a biography of the fish that changed the world (1997). George Marshall, Carbon detox (2007). Stephen Oppenheimer, The origins of the British (2006). Clive Ponting, A new green history of the world (1991). Jenny Uglow, The lunar men : the friends who made the future, 1730-1810 (2002) [dnf]. Edward O. Wilson, The future of life (2002). Bill Bryson, A short history of nearly everything (2003). Brian Fagan, The long summer : how climate changed civilization (2004). Richard A. Fortey, Life : an unauthorised biography (1997). Richard Holmes, Tommy : the British soldier on the western front, 1914-1918 (2004). Steve Jones, The single helix : a turn around the world of science (2005). Mark Lynas, High tide : how climate crisis is engulfing our planet (2004). 1. Norman Davies, The isles : a history (1999). I read pretty aimlessly between leaving college and about 2006, mainly fiction, including revisiting favourite Isaac Azimov, Douglas Adams and Terry Pratchett titles. Non-fiction was mainly satisfied by regular doses of the weekly 'New Scientist' and the monthly 'Scientific American'. I certainly didn't keep a note of what I'd read. The only books that stand out from this period are The house at Pooh Corner, given me by a work colleague scandalised that I hadn't read it as a child, and the first four of Patrick O'Brian's 'Master and commander' series, which I read as my 1996 paperback editions were published. I rediscovered non-fiction in 2006, with Norman Davies, The isles. The next few years were dominated by recent history and science titles. An exception was Arthur Ransome's Rod and line, first published in 1929, and which came my way towards the end of 2009. I'd always thought that a rounded character should know their whiskies and sherries, and probably ought to be able to tie a fly. These days whisky gives me heart-burn, but Rod and line, a collection of Ransome's newspaper columns, seemed like an easy way into armchair fishing. This led to a fascination with all things Ransome, including the 'Swallows and Amazons' series, the reintroduction of fiction into my reading, as well as threads of sailing and fishing books. Which sees me to the end of 2012. I know what books I read in which years during the period 2006-2012. But as to the order, all I can say is that I started with The isles, and ended with Robert Louis Stevenson, Travels with a donkey in the Cevennes, which I finished over Christmas 2012, and followed with his Treasure island as my first book of 2013. I resolved to read more children's classics from 2013, which good intention lasted about fifteen months before being swamped by 'The Mariners Library' (continuing) and other Rupert Hart-Davis published titles (petered out) and cruising books (continuing). Topped off in late 2014 by a resolution to read through Terry Pratchett's 'Discworld' novels (continuing). And the popular science has been sneaking back in as well.